Dracula fans as far as the eye can see. Group photo of speakers, key organizers and attendees for the Fourth World Dracula Congress on day one October 21, 2016. Picture: Erin Chapman. 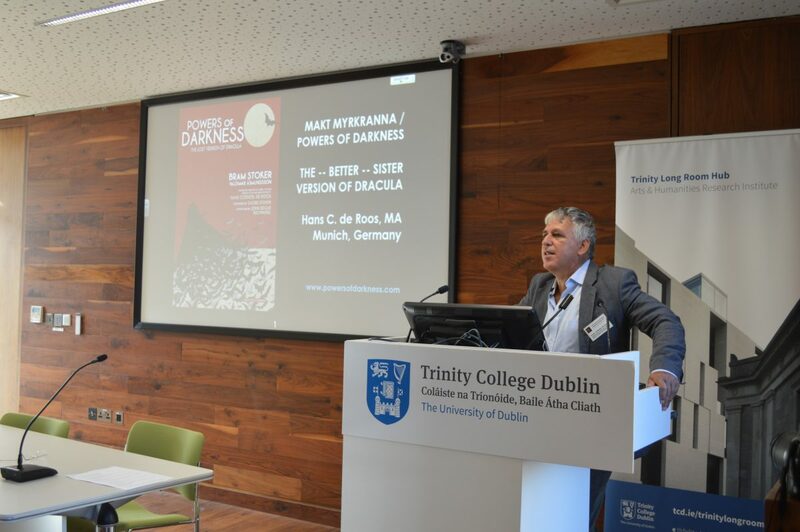 On October 20, 2016 I visited Trinity College in Dublin and attended the Fourth World Dracula Congress, a two day academic Dracula conference. 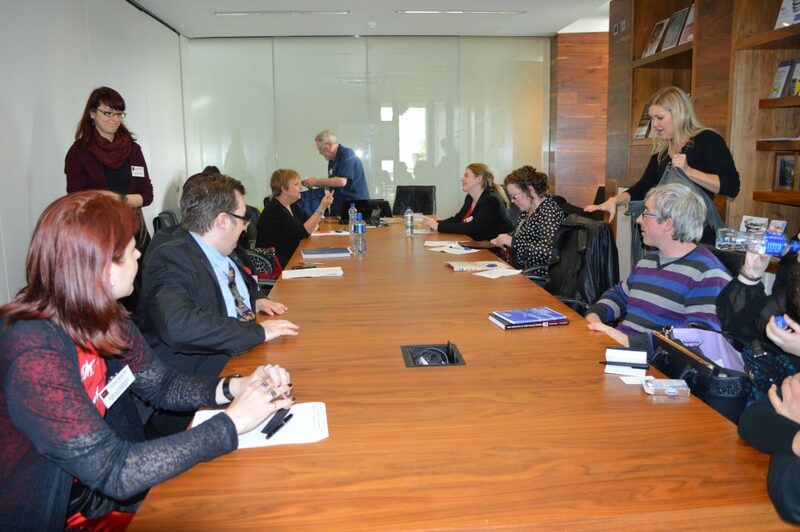 The event was organized by the Transylvanian Society of Dracula (TSD). This was the second academic vampire conference I attended for Vamped. My first was a vampire symposium we helped organize in Corinth, Texas that I attended with our editor-in-chief, Anthony Hogg, on October 31, 2015. For me, I refer to Dracula as “virgin territory” because it relates to my “Virgin Views” that I write for Vamped. Normally these are limited to classic vampire films that I haven’t seen before, but in May 2016, I covered Bram Stoker’s book, Dracula (1897). Anthony said the novel was necessary homework to help prepare for the conference. Besides reading Stoker’s book, my only knowledge about Dracula is limited to a few films. With all this said, don’t expect to see a detailed academic review of the speakers; that’s not how I do things at Vamped. This article will be more from a newbie perspective and virgin view if you will. Congress headquarters. 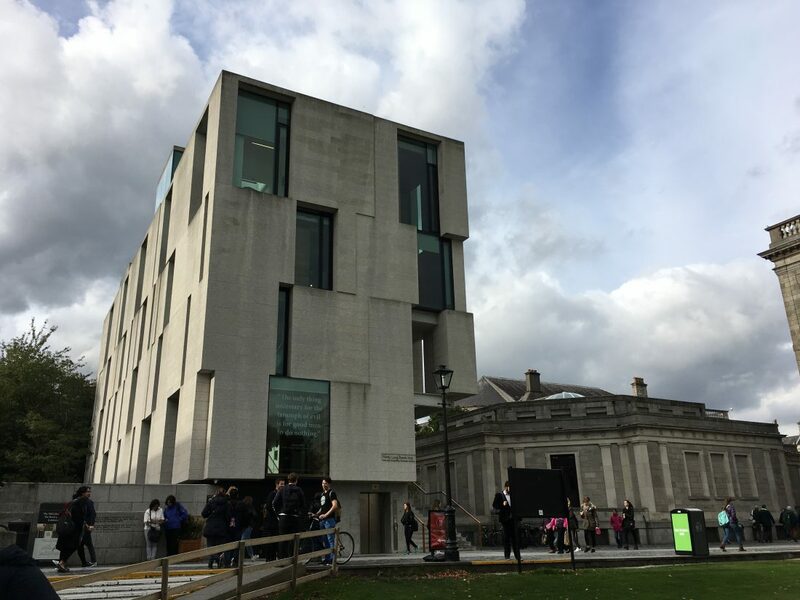 Trinity Long Room Hub, Trinity College Dublin, where attendees spent two days getting reacquainted with Dracula and vampires. Picture: Erin Chapman. That morning I met up with researcher and workshop speaker, Niels K. Petersen, and we walked to the college together. We arrived a little early and the school was still locked up. We beat the crowd. We knew we were in the right place as I saw this through the window posted in the lobby of the building. Picture: Erin Chapman. A school employee saw us waiting outside and was kind enough to let us in. We had twenty minutes to wait before registration was scheduled to start. Within minutes, Magdalena Grabias, Hans Corneel de Roos and the rest of the event organizers arrived. Introductions were made and due to a problem with the front door and its locking mechanism, I offered to keep a look out to let people in until school staff sorted the issue out. People started to trickle in and I tried to see who picked up which tag, to put names to faces. I saw someone grab a familiar name tag, Norbert Besch. He is a researcher I had spoken to online briefly. I was conducting research on verbena and burial rituals in Bulgaria and he was able to connect me with a friend to discuss the topic. Good turn out. 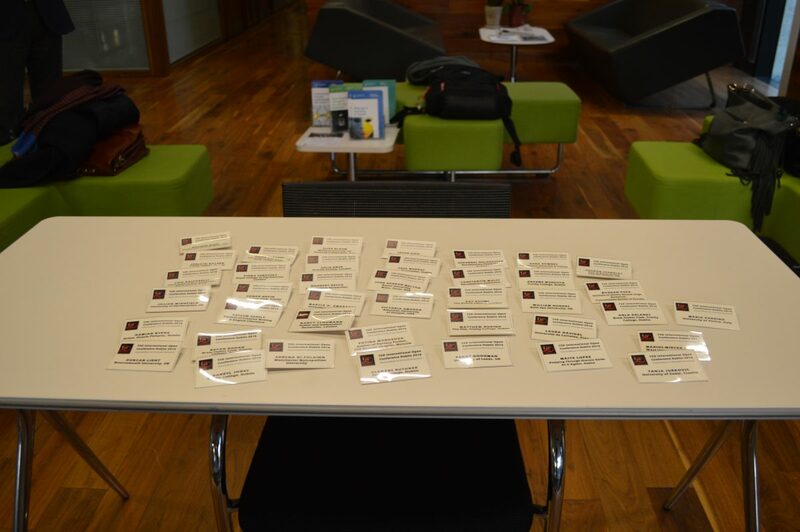 The dedicated name tags gave me an idea of the turn out and I saw some familiar names. Picture: Erin Chapman. I was happy to see J. Gordon Melton (or Gordon, as he likes to be called) when he showed up. We had exchanged emails prior to the trip and he told me due to his flight time, he would hopefully just make it. I originally met Gordon with Anthony back at the vampire symposium we attended in Texas in 2015. We went upstairs and got settled. I opted for a spot in the front row in order to get some good photos and record audio from the presentations. Lecture hall. This was the room used for the keynote speakers during the two days. 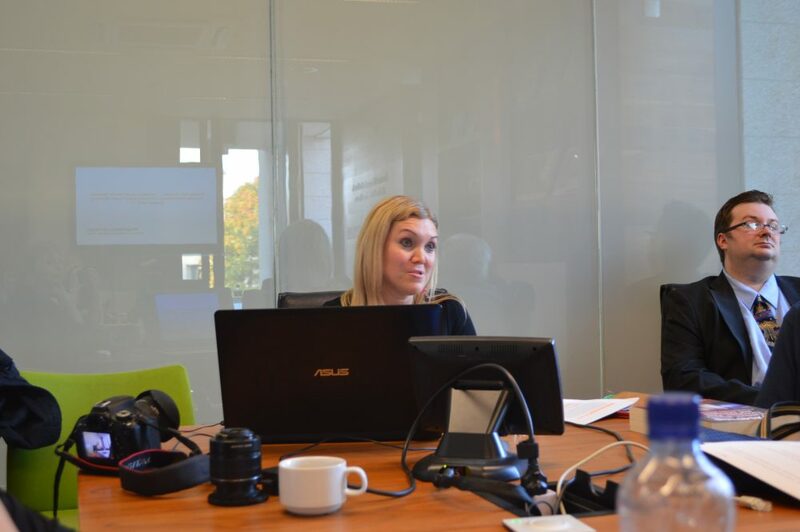 Some of the workshops were conducted in a smaller, adjacent room. Picture: Erin Chapman. There was a podium at the front accompanied by a large table for the question panels. On the third floor was another room set up for breaks. Scholars and snacks. 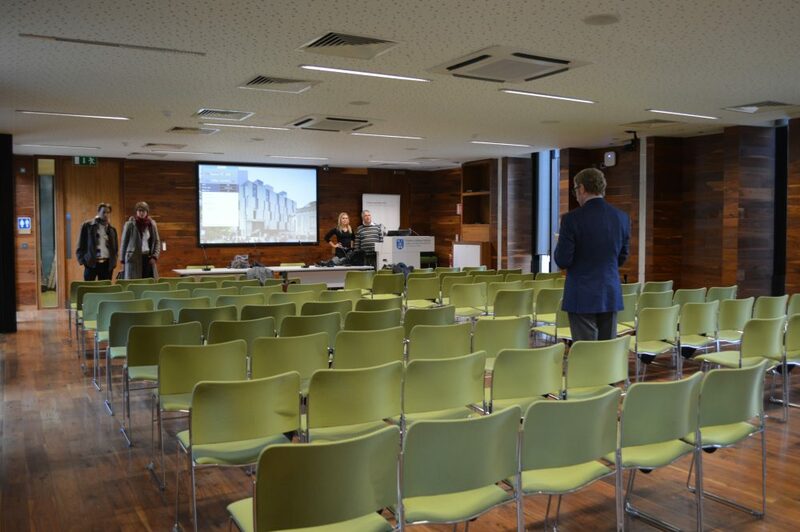 A less formal setting where attendees could chat between presentations and grab a cup of coffee. Picture: Erin Chapman. We started with an introduction by Hans at 9:50 a.m. He explained some history behind the TSD and how the first event dated back to 1995, followed by one in 2007 and then today. Before we got started, Douglas Applewood, a distant relative of Bram Stoker, said a few words about Trinity College, the Stoker Festival and Stoker family history. 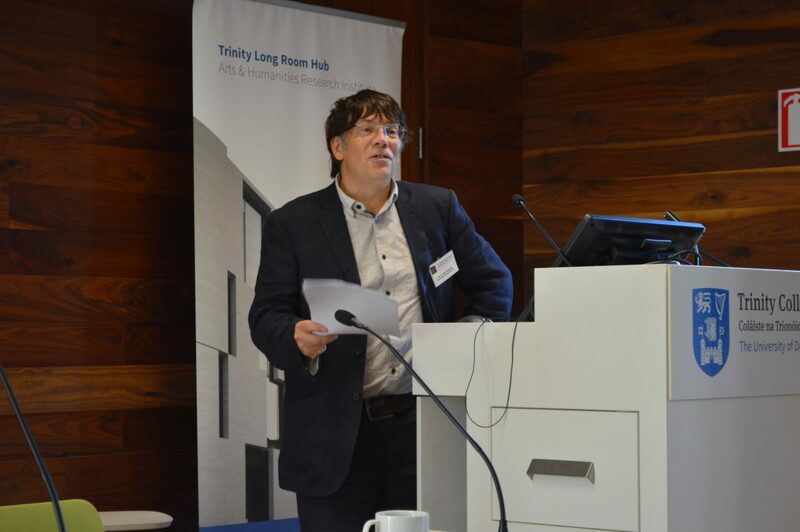 He was followed by Dr. Darryl Jones of Trinity College. I will now give a brief summarization on each talk I listened to over the two day event. William Hughes: Professor of Gothic Studies at Bath Spa University and founding editor of the journal Gothic Studies Picture: Erin Chapman. William discussed valuable written letters that were exchanged between Stoker, editors and publishers. I liked how he included all of them, even ones that weren’t good news for the author. Makes me wonder if all successful authors keep rejection letters from back in the day to reflect upon later in their career. Any type of correspondence for that matter, would be interesting. Last year a friend, John Vellutini, gave me a letter he received from Stephen Kaplan, vampirologist and paranormal investigator, who passed away in 1995. I think it’s a cool little piece of history I can hold onto in my collection. William also talked about Famous Impostors, the forth book published by Stoker in 1910. I didn’t even know this book existed, but the concept of addressing hoaxes and impostors intrigued me. He gave a detailed chronology of the book and painted the picture that Stoker was a starving writer who put so much effort into his craft only to die in 1912 of exhaustion. I was surprised that William didn’t use a PowerPoint slideshow for his presentation. Coming from a business background, they are the norm to me. He basically read from his notes, which along with his accent made it like an entertaining story. I have to add, that William was very friendly and the only one at the conference that exchanged business cards with me. He even offered to send me some journals, something I still need to chase him up on. Hans Corneel de Roos, head organizer of the Dracula Congress, author of The Ultimate Dracula (2012) and Powers of Darkness: The Lost Version of Dracula (2017). What piqued my interest with Hans’ presentation was I remembered a few years back Anthony shared with me the preface of the Icelandic edition of Stoker’s novel. He explained how the preface attempted to sell the story to the audience as a true, which I thought was amazing. 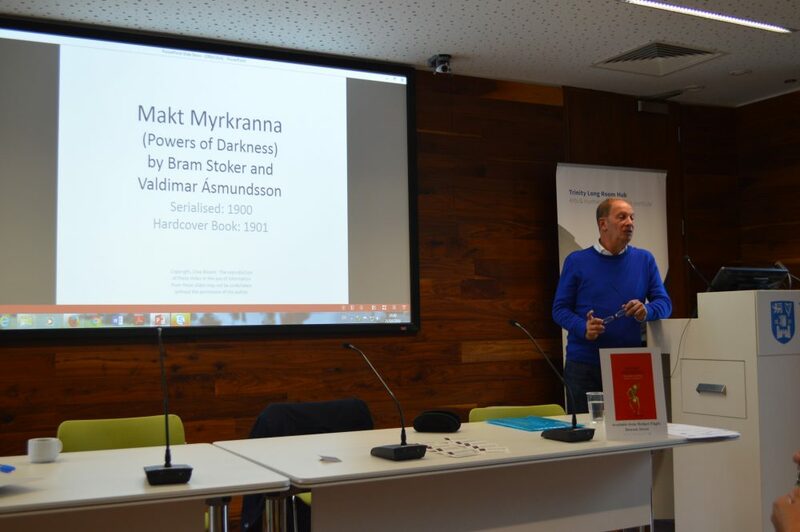 Hans discussed how the original edition of Dracula differed from the Icelandic edition and also his new book, Powers of Darkness, which was released on February 7, 2017. Hans explained he was intrigued by the Jack the Ripper comments by Stoker and how they weren’t included in the translation, leading him to investigate further. He also mentioned the Thames Torso murders of 1887, and how sacks drifted down the river full of body parts. Jack the Ripper I had heard of, but not about this other serial crime. I was so interested by the bit on the Torso murders I had to look them up. Apparently the Icelandic edition introduced new characters and totally changed the plot. It reminds me of how novels get made into movies and things are either lost or twisted around. Anyway, I don’t want to give away too much. You will need to get his book. Hans gave a very animated presentation that was accompanied by an excellent powerpoint. This kept me interested and by the end of it, I wanted to buy his new book. To me, this means he did his job correctly. Paul Murray, Author of From the Shadow of Dracula: A Life of Bram Stoker. Picture: Erin Chapman. 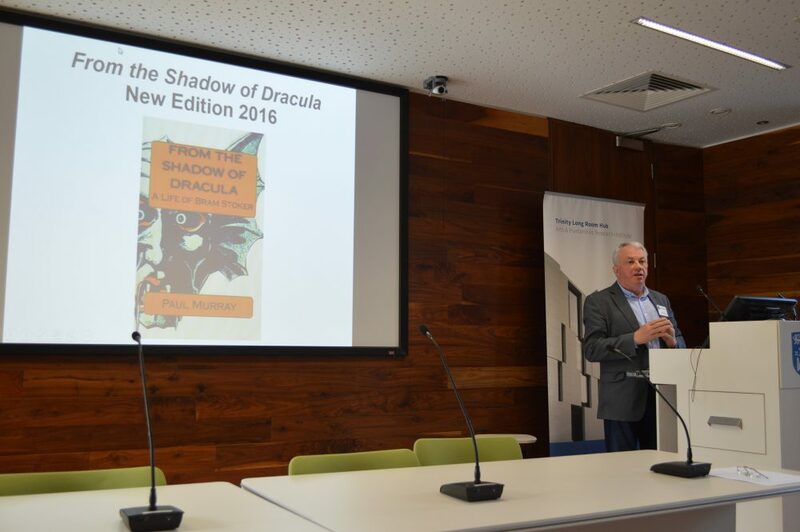 Having published a biography on Bram Stoker, Paul delved into the world of what made Bram Stoker tick as a teenager by examining subjects the author studied at the Marsh Library in Dublin over a two year period. According to Paul, Stoker apparently had a variety of tastes including: history, geography, witchcraft, astrology and poetry. I won’t pretend to know much about this presentation at all, as it was mostly above my head, having only read the book and knowing no background information on Stoker. What I did get from Paul, is that he is very well versed on Stoker’s life and has meticulously investigated this topic. It was an eye opener on how far down the rabbit hole some people will go to research a specific topic and what interests others in the field of Dracula studies. 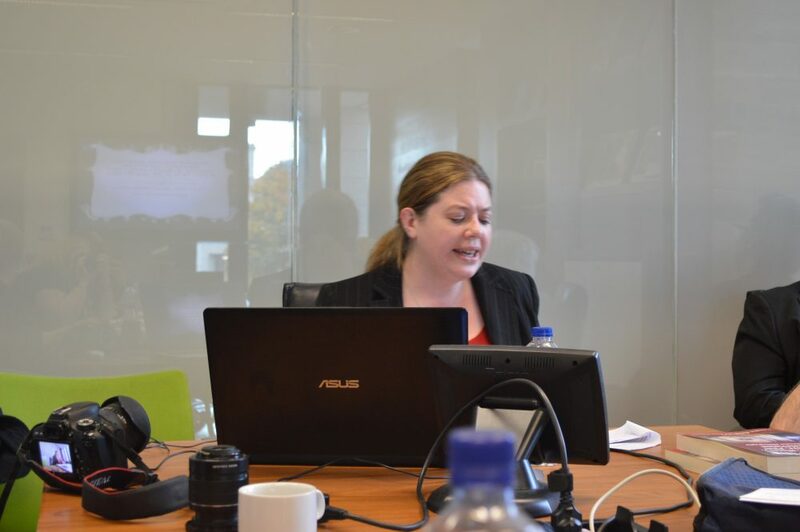 Dara Downey, Lecturer at the National University of Ireland and author of American Women’s Ghost Stories in the Gilded Age (2014). Picture: Erin Chapman. The quote intrigued me so much I had to look up the novel and would like to read it. Her topic of vampires and things had a long introduction, where she discussed books Locked in Time (1985) by Lois Duncan and The Fantastic (1973) by Tzvetan Todorov. I would have loved to see a powerpoint presentation with this one as I am more visual, but she read from her papers like Bill. Like with the previous presentation, some of this was over my head, but I enjoyed how she tied things together eventually when she referenced The Vampire Diaries, True Blood, Anne Rice, and discussed their common theme of taking place in the Far South (television shows and books). It wasn’t until that point, when realized she’s right. I have never compared and contrasted the different types of media in that sense, despite being familiar with all of them. This would be something interesting to explore further. First Q & A, Conference attendees had a chance to ask the keynote speakers some questions. 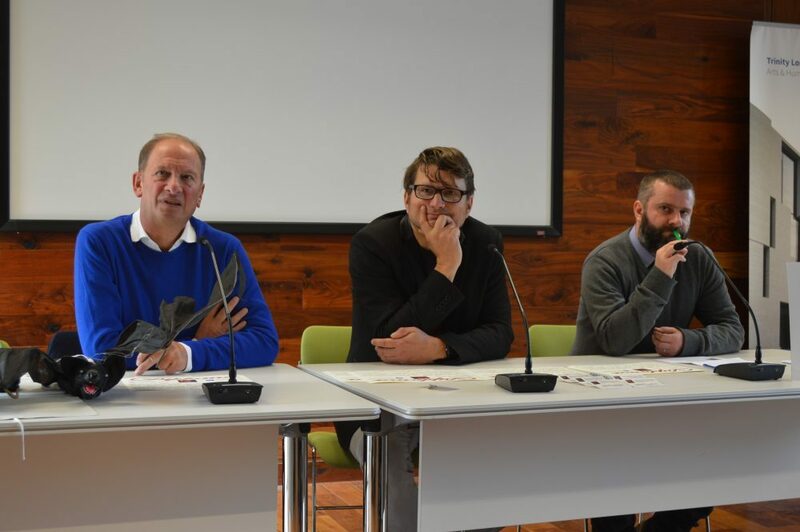 L-R: Dara Downey, Paul Murray, William Hughes, and Hans Corneel de Roos. Picture: Erin Chapman. After the panel, we broke for lunch. Gordon and I went to a little sandwich place across the street from the college, where I learned he has a fondness for hot mustard and vindaloo. Due to some last minute changes, when we came back, attendees were asked to vote on which workshop they wanted to attend. 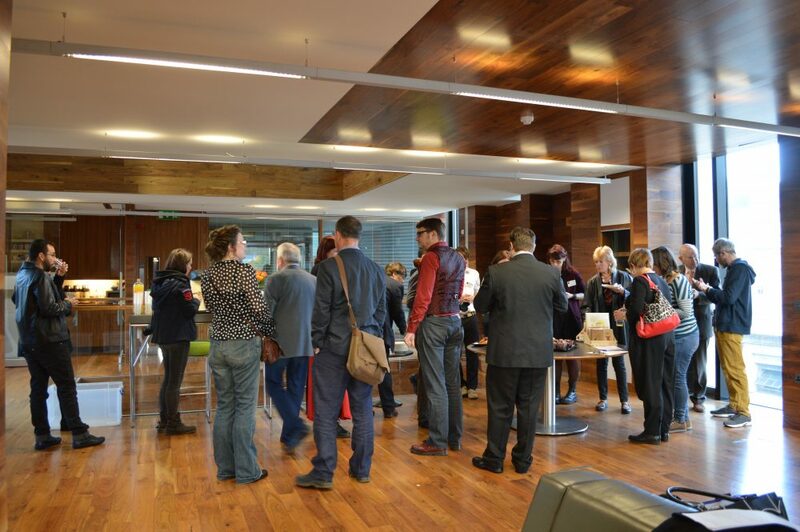 Two workshops would now be held concurrently. Workshop preparation. Everyone settling in and getting ready for a fun filled afternoon of vampires. Picture: Erin Chapman. The attendees broke off into two groups; half stayed in the original room and the rest of us cozied up in a conference room. I chose to go with the workshop Gordon was presenting in as it would give me a little break from Dracula and focus on topics I know more about. J. Gordon Melton, Professor of American Religious History at Baylor University, founding director of the Institute for the Study of American Religion and author of multiple vampire reference books. Picture: Erin Chapman. 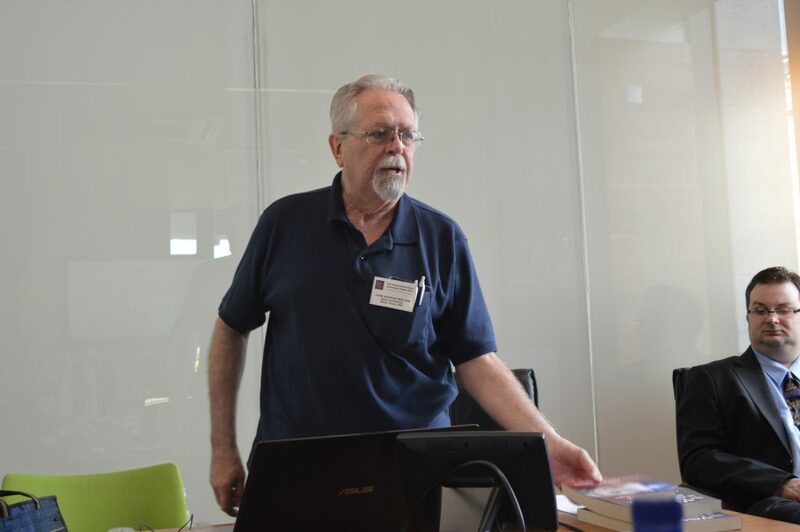 Gordon opened with discussing a project he has been working on for years with Robert Eighteen-Bisang and Massimo Introvigne; a bibliography of all vampire related materials from the English language up until 2010 for fiction and 2013 for non-fiction. Considering that I have personally seen Gordon’s vampire book collection, the idea of compiling everything until this point in history blew my mind. He covered major game changers like Dracula in the 1800s, Barnabus Collins a conflicted vampire and Vampirella the first sympathetic vampire, both from the 1960s. 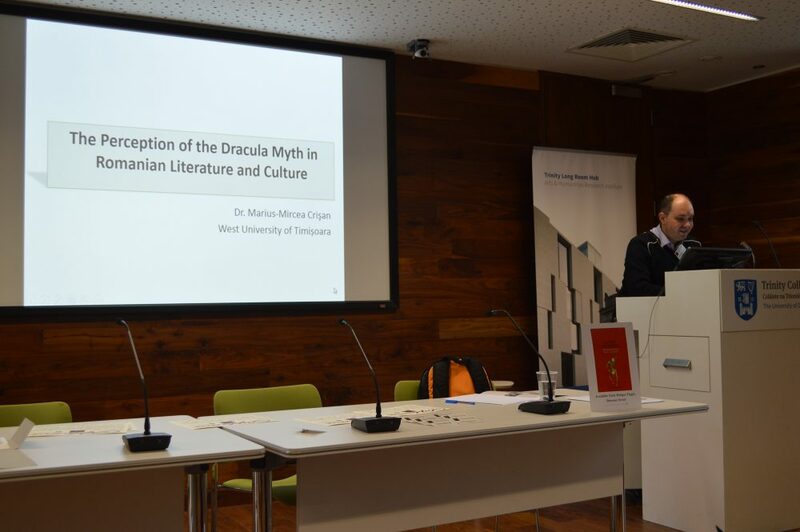 Gordon explained how In Search of Dracula by Raymond T. McNally and Radu Florescu (1972) and Leonard Wolf’s A Dream of Dracula (1972) were essential contributions to vampire scholarship. 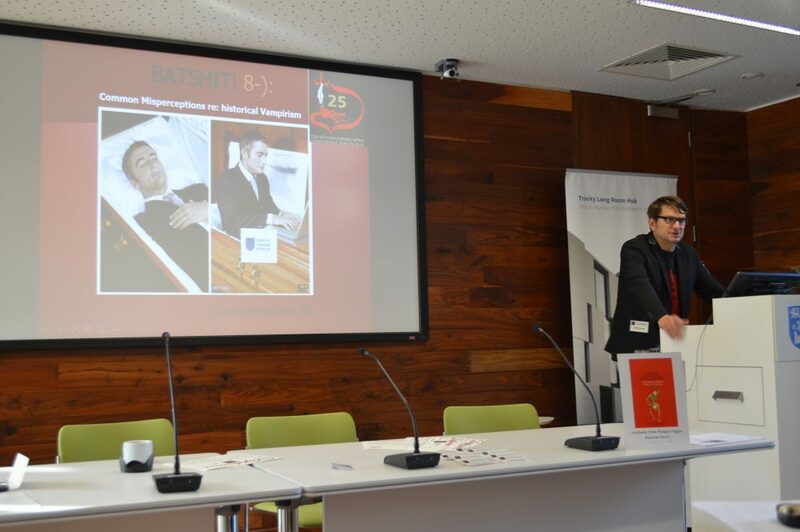 He also covered trends concerning sales of electronic and print books and the number of vampire novels being published over the last century. Figures, he said, that have been majorly influenced by the introduction of self-publishing. He had lovely bar graphs and charts to accompany his data, which I loved. Gordon’s knowledge of pop culture and fan fiction, always amazes and entertains me. I’ve now had the pleasure of hearing him at two events and look forward to the next one. Victoria Amador, Associate Professor of English at the American University of Sharjah. Picture: Erin Chapman. Before the workshop speakers began, Victoria approached Gordon. She purchased a book from him and asked him to sign it. She was obviously a fan of his and it was cute to see her gushing over his work as he signed a book for her. Victoria’s presentation was on Count Dracula, the 1977 film starring Louis Jourdan. I’ve never seen someone so enthusiastic about a movie. This was beyond a fan talking about a movie, she lived and breathed the film. She was totally crushing on Jourdan and I could speculate a possible first love. After all, most vampire fans fall in love with a character in the beginning. It’s usually the gate opener into the genre. For me it was Lestat de Lioncourt from Anne Rice’s novels. Victoria covered all aspects of the film in depth and discussed the adaption of the script, actor’s performances and special effects. She did a lot of comparisons to Stoker’s novel and it was nice to know what was going on, having read the book. 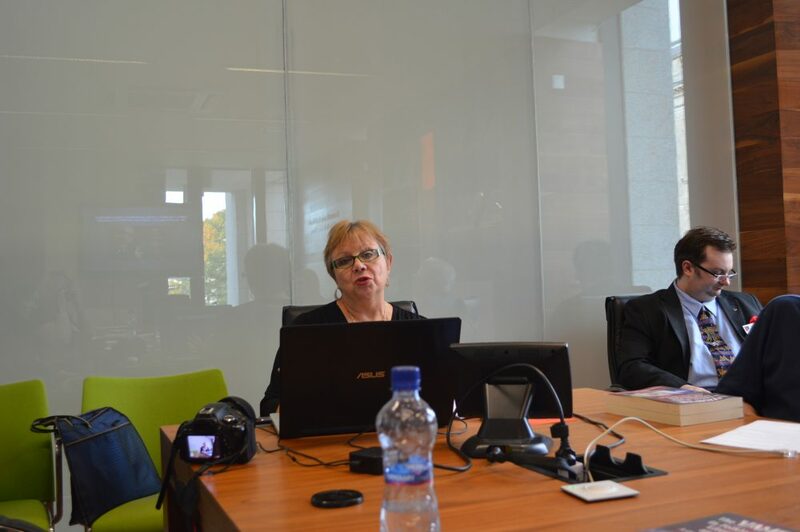 Magdalena Grabias, Assistant Professor in the Cultural Studies Department at Maria Curie-Sklodowska University. Picture: Erin Chapman. Magdalena’s presentation covered the humanization of the vampire in todays films and television shows, especially female characters. This interested me a lot more than what some other speakers covered because I am a fan of The Vampire Diaries and Twilight. She categorized the female acting roles as either devils, humans or angels. For example, Nina Dobrev who plays Katherine Pierce in The Vampire Diaries, would be considered a devil because she has no remorse or soul. This character was a badass that always got what she wanted and prevailed over everyone. This type of empowerment is not that common for female characters and I think a lot of fans embraced this change of pace for a villain. Magdalena also covered the struggles of being a vegetarian vampire, social skills and relationships that vampires struggle with in today’s society, and even traditional family values. Twilight intertwined into their storyline, Bella (Kristin Stewart), giving birth to a half vampire, half human and even the cartoon Hotel Transylvania (2012) had the vampire Mavis (Selena Gomez), give birth as well. If we reflect back on vampire films and shows throughout the years, most vampires roles were male-dominated and now popular pop culture shows and films are breaking the mold. Gone are the days of women simply being a vampire’s bride, today in most cases they are now equals or more. 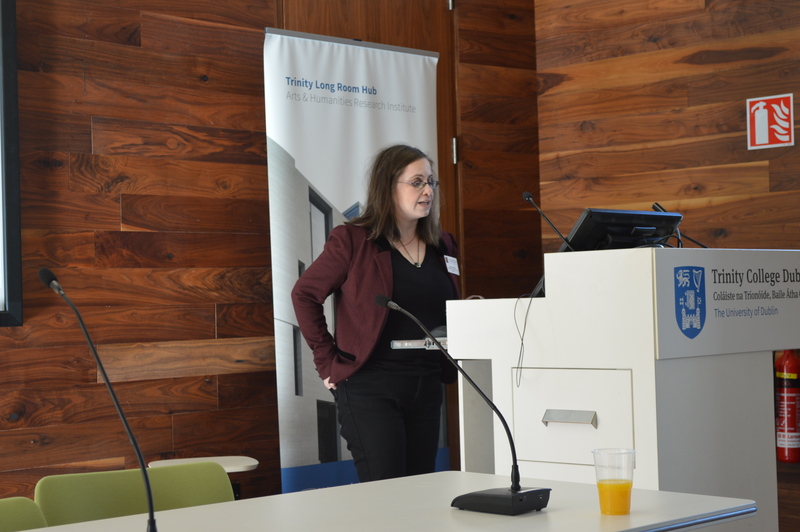 Dr Sorcha Ní Fhlainn, Lecturer in Film Studies and founding member of Manchester Center for Gothic Studies at Manchester Metropolitan University. Picture: Erin Chapman. Before her talk, Sorcha showed a clip of What We Do in the Shadows (2014) and Dracula Untold (2014), two films I have actually seen. In fact, I watched What We Do in the Shadows for my second time on the plane ride to England a few days before the conference. You could tell right away, by her excitement and enthusiasm, she loved What We Do in the Shadows more. Her talk was entertaining and humorous. I enjoyed how she brought up some points about the films I hadn’t thought of before. For example, she described how the vampires in What We Do in the Shadows were representations of vampires from other films, from Nosferatu to Twilight. I didn’t think of it until she said it. For example the character Petyr (Ben Fransham) portrayed Nosferatu (1922) and Vladislav (Jemaine Clement) was Dracula with snippets of Vlad the Impaler. Sorcha wasn’t much of a fan of Dracula Untold. She discussed film reboots and the superhero connection, relating Dracula Untold to the Batman films. She also mentioned how films are not always accurate, as they struggle to keep up with studio demands. The film goes overboard with CGI and she compares it a lot to Bram Stoker’s Dracula (1992); however, she has better things to say about that film. Her blunt honesty about both films was refreshing and it kept me interested, wanting to hear more. I think Sorcha should have her own film review show or podcast, vampires exclusively of course. 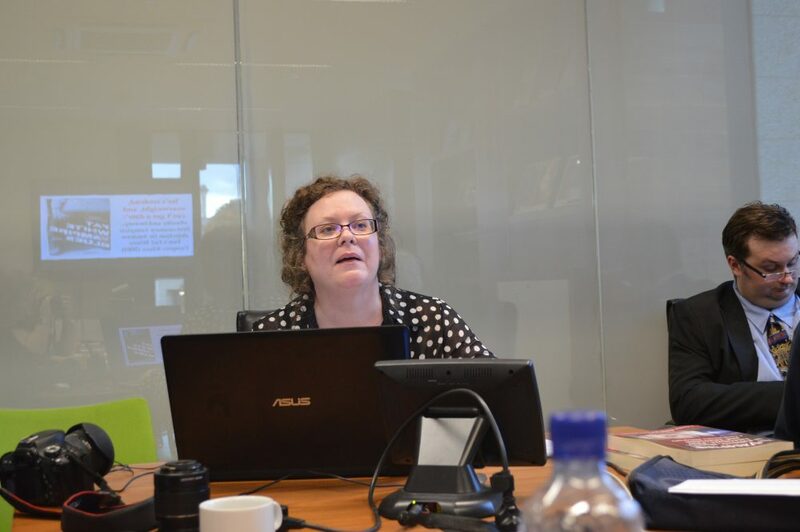 Jillian Wingfeld, Visiting Lecturer in the School of Humanities at the University of Hertfordshire. Picture: Erin Chapman. Jillian’s topic of Fat White Vampire Blues by Andrew Fox surprised me. I actually own this book and funny enough I picked it up in a used book store in Texas with Gordon Melton, who recommended it to me. She started off asking who had heard of the book. Only Gordon and I raised our hands. Jillian said that was more than she had come across in the last five years, which really surprised me. Jillian explained how every generation creates their own vampires. For now, I think Edward from Twilight is dominating along with Stefan and Damon Salvatore of The Vampire Diaries, accompanied by their all too famous hero haircuts and chiseled abs. The common theme for body type is usually fit as opposed to obese. She posted a photo of Edward Cullen with a weight problem and it made me laugh. Thinking back on vampire characters over the years, I realized she had a very good point though. If vampires need Weight Watchers, the genre wouldn’t have gained an audience like it has today and things would have been extremely different, especially with the female demographic. The author’s angle of taking an obese vampire creates all sorts of conflicts for the character, even more so than a normal undead blood drinker. Jillian also covered the setting for the book, how it was on the wrong side of the tracks in New Orleans, including strip clubs. I don’t want to spoil the book for you, but I recommend picking up a copy if you can. Put the hero-hair vampires aside for a refreshing look at some down and out vampires. A bonus of the presentation that everyone enjoyed, was Jillian asked Gordon to say a few lines from the book, using his Southern drawl. It totally added some authenticity to the character. Beautiful campus. 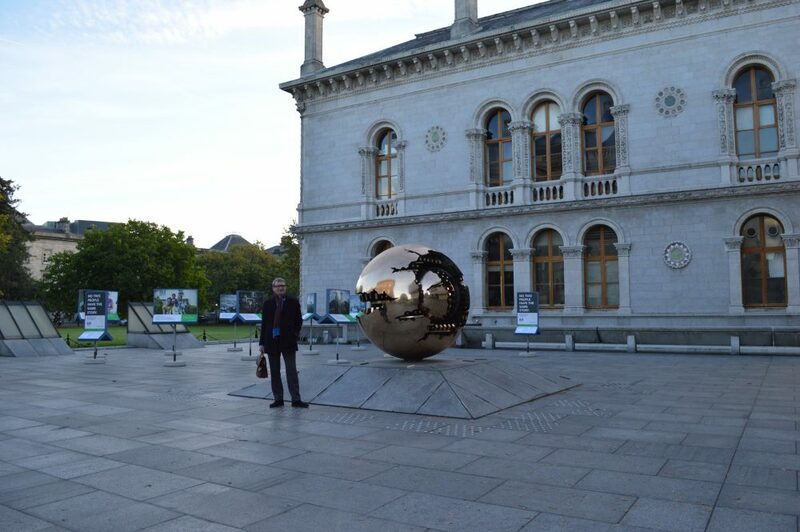 Niels K. Petersen standing beside a lovely depiction of the world at Trinity College, Dublin. Picture: Erin Chapman. Logistics are always easier on the second day of an event. Niels and I had a few minutes to kill and I was able to get this great photo of him. Clive Bloom: Professor at Middlesex University and Adjunct Professor at University of Notre Dame. Picture: Erin Chapman. Clive discussed the differences between the original Dracula and the Icelandic version, Makt myrkranna, while covering the correlation between Dracula and Jack the Rippper. He compared geographical areas such as the Romania and the East End. This made me want to go to the East End and actually check out locations. In all the times I have visited London over the years, I have never ventured there. I actually own a Sherlock Holmes book that serves this purpose, accompanied by labeled maps. Clive said the concept of Dracula and Jack the Ripper donning disguises, actually stemmed from Sherlock Holmes. Clive mentioned how Jack the Ripper studies relate to Dracula studies in the sense that most people who are interested in one, are interested in the other. It’s not until you get thrown in the thick of things, that you realize what you are missing. I had no idea there is Jack the Ripper studies, but I guess if Buffy studies exist, why not? Bogdan Popa, Historian and researcher Instituted of History at Acadmiei Române. Nicolae Paduraru, founder of the TSD, can be seen left, in the wall projection. Picture: Erin Chapman. Bodgan’s presentation was more of a history lesson. 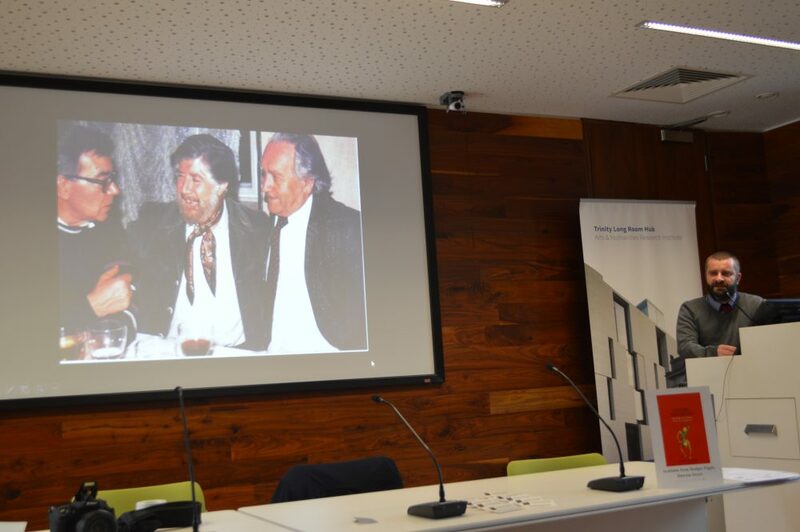 He didn’t opt to use a PowerPoint, but did show one photo that included Nicolae Paduraru, a founder of the TSD, that had influenced him with regards to Dracula. He said he worked with travelogs for over ten years and when you looked back on ones from villages in Transylvania in the 1870s, you could frequently find references to vampires. Hearing stories like that, gives a dose of reality to how most consider vampires a myth. He gave a quick history lesson on the area and pointed out that no mater how much the country had changed over the years, Dracula always stayed the same. He said that Romanians don’t think favourably about the fact that Dracula is associated with their national hero and mostly ignore what Stoker said about the character. If you look at it from both sides, I guess Dracula for them was a curse and a gift at the same time from a financial and economical perspective. Clemens Ruthner, Assistant Professor for German at Trinity College. Picture: Erin Chapman. Clem’s presentation was my second favourite from the conference and I thought his title was quite appropriate. His sense of humour made it entertaining and kept the audience engaged the whole time. I have been trying to finish Paul Barber’s book, Vampires, Burial, and Death: Folklore and Reality for a while. It covers forensics and folklore, which is what Clem incorporated into his presentation. Forensics have always fascinated me, hence my enjoyment of this one. Clem’s accent made all the names I have read about and discussed with Anthony, more authentic. It also showed me how us English-speaking people butcher the names. Clem discussed historical misconceptions about vampirism and referenced two important cases: Peter Plogojowitz (1725) and Arnold Paole (1732) including the report Visum et Repertum. The one thing I learned, was he discussed back in 2005 Romania had a vampire problem, the last one in Europe to date. Due to the media manipulation, it was hard to tell which kind of vampire stole the show; a classic one from folklore tales gone by or did Edward Cullen relocate from Forks, Washington? I had no idea that people thought real vampires existed still in this day and age, well, minus the online Vampire Community from that equation. Second Q & A. Conference attendees had another chance to ask keynote speakers some questions. L-R: Clive Bloom, Clemens Ruthner, and Bogdan Popa. Picture: Erin Chapman. Everyone left for an hour on a lunch break. 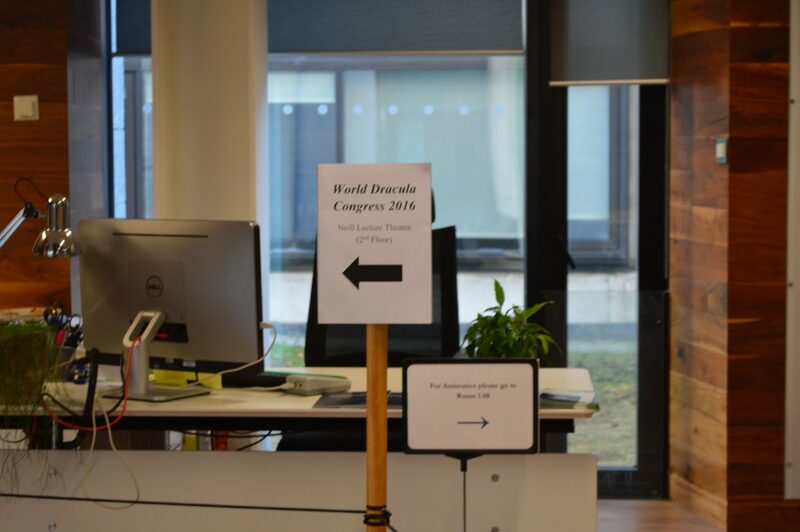 Before the workshops started, Hans briefly talked about the next congress that would take place in Brasov, Romania in 2018 and the future of the TSD. He explained they were moving in a new direction, more of a network as opposed to a society. He also handed out a diploma to all conference attendees. Lovely surprise. 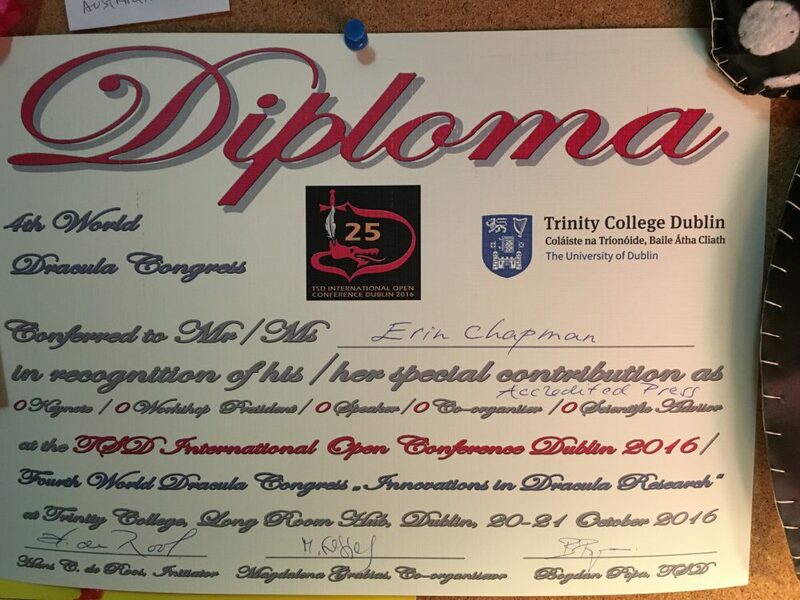 Everyone at the conference received one of these babies, a TSD diploma, something I wasn’t expecting. Picture: Erin Chapman. There was also a small costume contest. I say small because there were only two entrants. 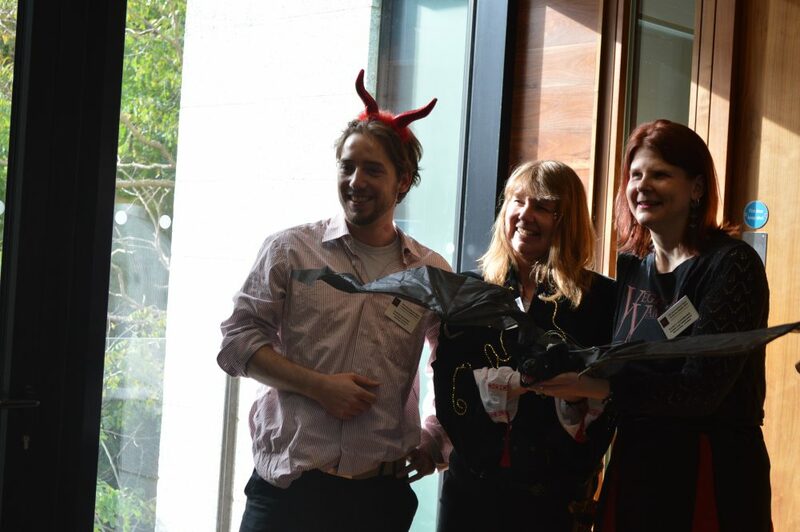 The grand prize was a Halloween decor vampire bat that screeched loudly. Since there were only two people, they decided to award first prize to each person. Costume contest fun. L-R: Floyd De Roos, Sharon Spendley, and Nancy Schumman holding the grand prize. Picture: Erin Chapman. Just like the day before, we had to chose which set of workshops we wanted to attend. This time I got to stay in the larger lecture hall. Marius-Mircea Crișan, Associate Professor at the West University and author. Picture: Erin Chapman. To make a confession, I have a weird thing with names. When I meet someone, I associate their name with other people I have met or know with the same name. In this case, when I heard the name Marius, my brain kept thinking back to the character from Anne Rice’s Vampire Chronicles, Marius de Romanus. By the description of all the books Marius has written, he has quite an extensive and impressive resume. Marius discussed Vlad Țepeș and aspects of Romanian history and literature. Saying he is well versed is an understatement. I can’t pretend to explain any further what the rest of the presentation was about. I was shocked and impressed when Marius broke out into song during his talk. That would take balls to do. I was really happy that Marius used a PowerPoint slideshow. He did a lot of name-dropping and many of them I wouldn’t even know how to attempt to spell. The accompanying pictures helped too. He also included a photo from the last TSD gathering back in 2007. This was really cool to see. A unique little snippet of Dracula history from back in the day. Tanja Jurkovic has a MA in English and French from the University of Zadar and is working on her PhD in film and media. Picture: Erin Chapman. 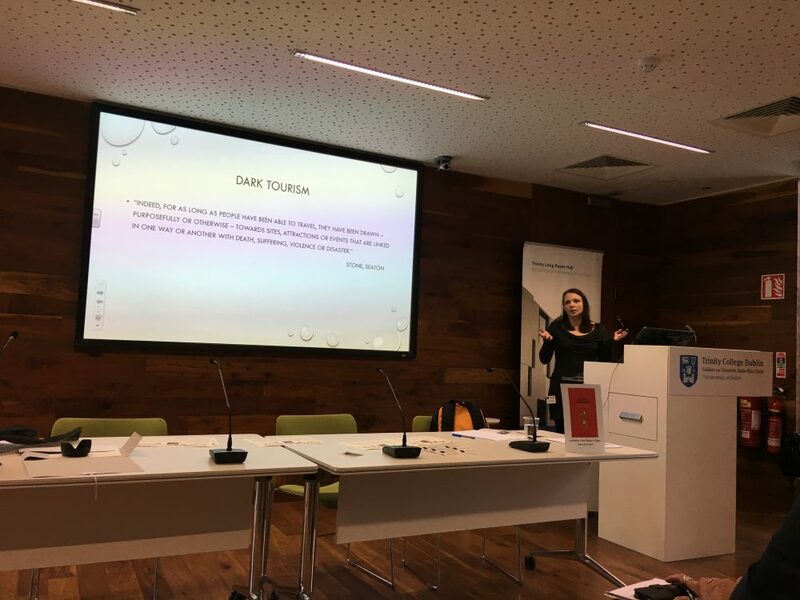 This was my favourite presentation because of the topic it covered: dark tourism. It appealed to my morbid sense of curiosity and I was fascinated by everything she covered. The variety of topics was good and flowed together well. Having been a tour guide before, Tanya explained how people love places that are linked with suffering, death, violence or disaster. If you think about it, she has a good point. We visit famous monuments constructed where massive losses of life have occurred, graveyards where famous people are buried, places where battles took place or extreme acts of weather. The first thing that popped into my head was years ago my mum, brother and I drove to see what was left where Mount Saint Helens had erupted. Tanya proceeded to explain the story about Sava Savanović. This actually prompted me to purchase a After Ninety Years by Milovan Glišić, translated by James Lyon, who I have spoken to on Facebook before. Later in her presentation, I was pleasantly surprised when she mentioned James Lyon’s guest post on Anthony’s blog, The Vampirologist. Fangtastic group of people. I was able to get this photo on the second day, unfortunately not everyone was in attendance. A great keepsake of people I met, and memories I made. Picture: Hans Corneel de Roos. Attendees that stuck around till Saturday had the opportunity to attend a tour by At it Again!. They ventured through Dublin and viewed to places related to Bram Stoker and Dracula. For only ten Euros it was a steal and it included a guide book as well. During my flight back to Bristol, I took time to reflect on what a whirlwind of a trip we had to Dublin for the conference. I felt very accomplished. 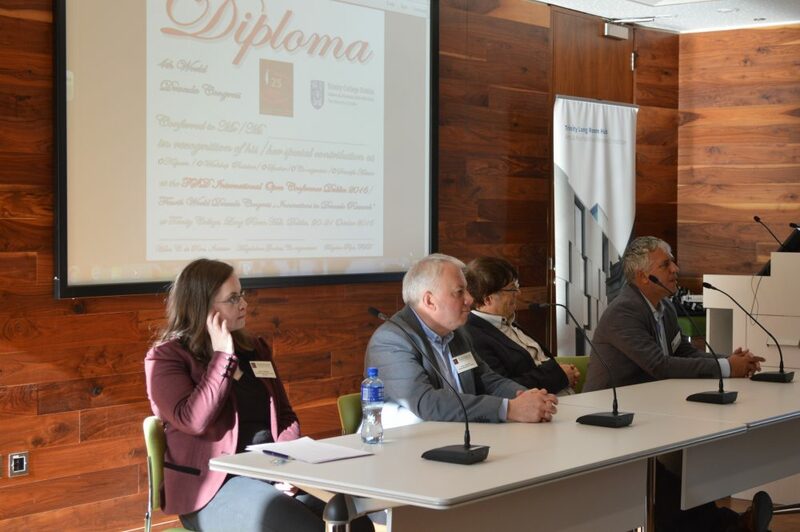 I had flown half way around the world to represent Vamped at the TSD event, explored Dublin a little, made some new friends and got a crash course in Dracula studies. Originally, when Anthony and I checked out the keynote and workshop speakers list for the event, I felt very intimidated, something that usually doesn’t happen to me. Some of the topics sounded complex and I knew certain presentations would be over my head. From someone with a marketing and sales background, I gave it my best shot considering my only prep work for the conference was to read Bram Stoker’s Dracula. If I had to chose one word to describe a theme amongst the fourteen speakers I heard over the two days, it would be “passionate.” Each person brought a subject to the table that was important to them. Some topics surprised me as I didn’t even think of them before and others were eye-opening. People traveled from all over the world to come together and discuss a subject they all love. That is inspirational. One thing I have learned over the years, since I was introduced to the more academic side of vampires from Anthony, is that non-academic folk like vampire fans get very little exposure to the subject, which is a shame. Writing articles like this, helps fans connect with something they wouldn’t normally read about, while learning a thing or two at the same time. Having been on the planning side of a conference and the attendance side now, I have two suggestions for the next one. Supplying some help with accommodations would be helpful. I had people messaging me before the event asking if I had suggestions where to stay. That says a lot, considering it was my first trip to Dublin. Partnering with a hotel is always a good idea and usually a discount can be offered for attendees. Also at the last conference I attended I was able to purchase a bunch of books, which I bought many. It would have been nice to see this as well or journals for that matter. This conference helped me refine what interests me on the subject of vampires, which is something Anthony is always trying to get me to do. I discovered Dracula isn’t really my thing, but it is such a major part of vampire studies, that I can’t ignore it. What blows my mind is this all came about from a book published in 1897. Look how far we have come in one hundred and twenty years. I am sure Bram Stoker would be turning over in his coffin if he knew. 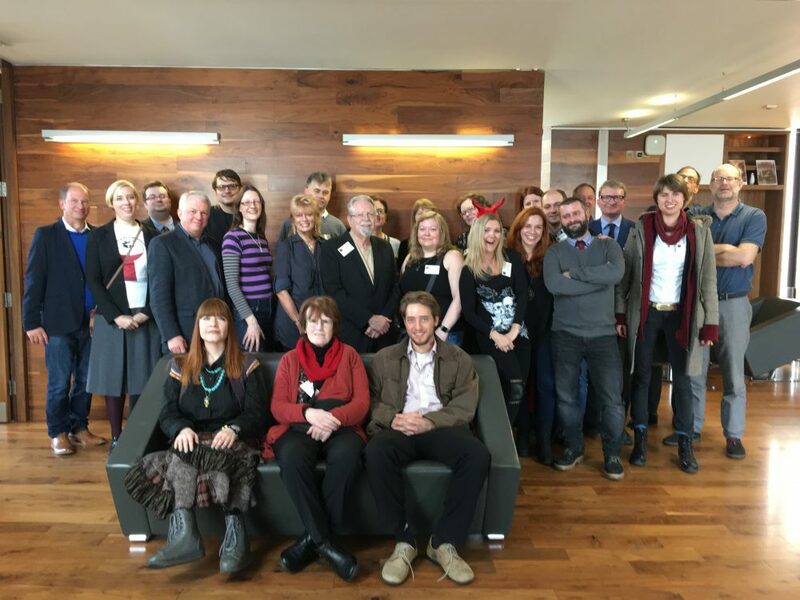 a vampire symposium […] I attended with our editor-in-chief, Anthony Hogg: Erin Chapman, “I Attended a Vampire Studies Symposium on Halloween. 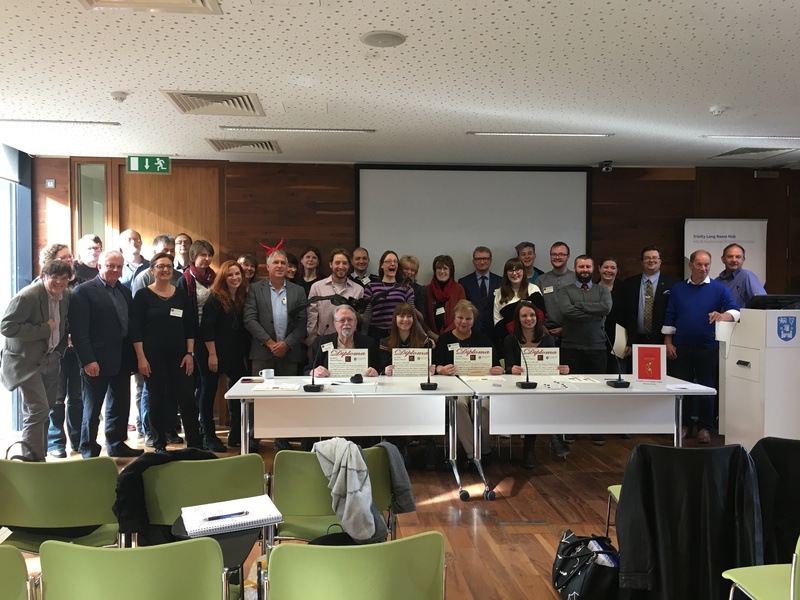 Here’s What I Learned,” Vamped, December 23, 2015, accessed May 10, 2017, http://vamped.org/2015/12/23/i-attended-a-vampire-studies-symposium-on-halloween-heres-what-i-learned/. in May 2016, I covered Bram Stoker’s book: Erin Chapman, “A Virgin’s View on Dracula (1897) by Bram Stoker,” Vamped, May 3, 2016, accessed May 10, 2017, http://vamped.org/2016/05/03/a-virgins-view-on-dracula-1897-by-bram-stoker/. I picked it up in a used book store in Texas: Erin Chapman, “Trip to Texas: The Vampire Studies Symposium and More,” Vamped, April 9, 2016, accessed May 10, 2017, http://vamped.org/2016/04/09/trip-to-texas-the-vampire-studies-symposium-and-more/. James Lyon’s guest post: James Lyon, “Vampires in Serbia: Unraveling Fact from Myth about Sava Savanović,” The Vampirologist (blog), December 27, 2012, accessed May 17, 2017, http://thevampirologist.blogspot.ca/2012/12/vampires-in-serbia-unraveling-fact-from.html. Shortly after the congress, the TSD closed shop and gave its title to the North American chapter, as covered in this interview with the TSD’s vice-president, Daniela Diaconescu. But the spirit of the TSD’s congresses will live on with the Children of the Night Cross-Platform Dracula Congress, an event organised by Florin Nechita, Hans Corneel de Roos and Magdalena Grabias. The congress will be hosted at the Transilvania University of Brașov on October 17–19, 2018. See its website for details: https://dracongress.jimdo.com/. Next article World Dracula Day EXCLUSIVE: Earliest American Serialisation of Dracula—Found! Excellent article! I was at the Conference as an audience member. You said you recorded audio from the presentations; would it possble for Vamped to upload these recordings? I would like to hear the speakers’ presentations again.